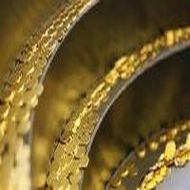 Gold rose for the first time in four sessions on Tuesday, aided by a softer dollar, although persistent outflows from exchange-traded funds reflected investors’ waning interest in the safe-haven precious metal. Gold has recovered about USD 120 since a sell-off in April dragged prices to two-year lows, but it is still well below last month’s peak of around $1,600 as gains in stocks markets lure investors into equities. 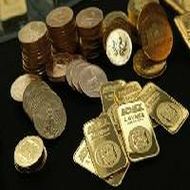 Gold hit a session high of USD 1,444.96 an ounce and stood at USD 1,442.54, up 0.9 percent, at 0139 GMT. It fell more than 1 percent to a session low around USD1,425 on Monday, near a two-week low hit on Friday, as stronger US retail sales data reduced its draw as a safe-haven. “Stocks are currently looking more attractive for investors. Gold will continue in the downward trend. It might test USD 1,400,” said Brian Lan, managing director of GoldSilver Central Pte Ltd in Singapore. “I don’t see any data that could possibly push gold prices up,” he said. 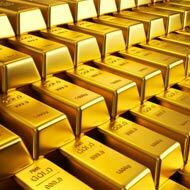 US gold futures for June delivery were at USD 1,441.70 an ounce, up 0.5 percent. Get free 2 days trial in bullion commodities, to get click on free 2 days trial in bullion commodities for better profit in commodity market. The Nikkei share average extended gains into a third day on Tuesday as the weak-yen trend continued to lift exporters. The US dollar ticked lower against other currencies, pausing for breath after recent rallies. A surprise rise in US retail sales in April supported views that the US economy remains resilient. The data supported the dollar’s recent strength, and Goldman Sachs and JPMorgan upgraded their view on second-quarter US growth. Holdings at SPDR Gold Trust, the world’s largest gold-backed exchange-traded fund, stood at 33.811 million ounces, just off their lowest level since March 2009. 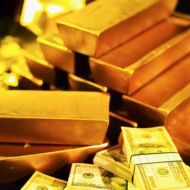 India’s gold and silver imports jumped 138 percent in April as customers took advantage of lower prices, increasing pressure on the current account balance in the world’s top bullion importer.